When it comes to homemade baby shower favors, you can truly never go wrong with something that tickles the sweet tooth! I mean, think about it. You’re at a baby shower with a bunch of woman who likely normally watch what they eat. 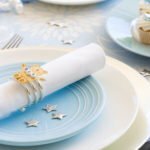 Such built up tension normally gets released in quick, large, junk-food-eating actions that we know as “purging.” But at a baby shower, women are surrounded by other women who are going through the same thing. It is something that is understood without being spoken, each empathizing with each other sweet tooth needs. So purge away! Really though, one of the best homemade baby shower favors is baby shower cake pops. You know, those cute little balls of cake on a stick? If you are like me, then you never really previously thought about making baby shower cake pops before! Although they are pretty easy to make, they do take a bit of time. 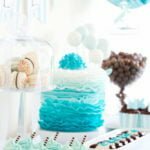 It is best that you break up the process into three steps to ensure that you make perfect baby shower cake pops the first time around! 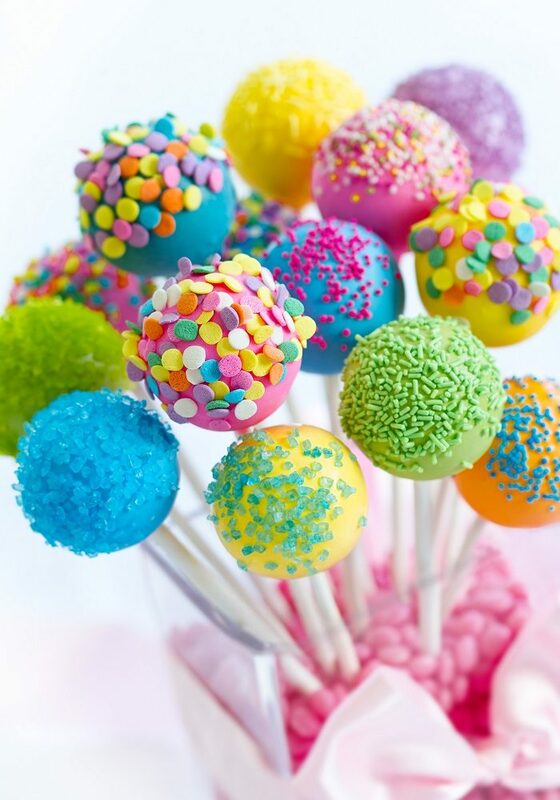 There are several steps to making cake pops, but don’t let that discourage you from trying them! Once you know the process, it’s easy as cake! Step 1: Bake a cake using either your favorite recipe or by using box cake mix. Let the cake cool down before proceeding. Step 2: It’s important to note that a single box of mix can yield 50 to 60 cake pops, so you may want to split the cake into quarters and make a smaller batch to start. Step 3: Wrap up any pieces you’re not using right away in order to keep them fresh. Ok, this is where is starts to get a little tricky, so pay close attention! Step 1: Remove all golden brown edges from the cake using a knife. If you do not remove these edges, you risk the cake balls not forming properly or having a funky texture. Step 2: Cut your cake into smaller chunks and proceed to crumble these into the ball into fine, light crumbs. Using smaller pieces ensures you don’t miss any large chunks. Step 3: Add frosting. The more dry the cake is, the more frosting you’ll need, so listen to the needs of your cake. Adding too much or too little can result in funky textures or the balls not staying together! Add a spoonful of frosting at a time, mixing it in with the crumbs until the mixture is in a state where it can be rolled into balls. Tip: Do a test ball in the palm of your clean hands. If it falls apart easily, add more frosting. Step 4: Make balls. Using the small, rounded scoop, scoop some of the mixture out of the bowl and round it off on top of the scoop with your hands. This helps to ensure consistency in the size of the baby shower cake pops. Roll the balls in the palms of your moist, clean hands to form a smooth, well-packed and well-formed cake balls. Tip: Keeping your hands clean and moist will help keep the balls from sticking to your hands. Step 5: Refrigerate. Place cake balls onto the cookie sheet lined with parchment paper, cover with plastic wrap, and refrigerate overnight. A minimum of 4 hours is recommended, but if you want to make sure they come out right, you need to make sure they are firm enough, which only happens with enough time. Tip: While the cake balls are hardening in the refrigerator overnight, there is one thing you can get done. Your cake pops need a base to hold them upright, and since these are homemade baby shower favors, you’ll want to make a base that goes with the theme, right? Right! So, take a foam block and cover it with foil. Next, take fabric or ribbon, or whatever you’d wish, and cover the sides with it, maybe tying a bow with a ribbon in the front. Avoid covering the top as the cake pops will need to puncture through the foil. This is where your hard work will turn into cake pops! Step 1: Follow instructions on your candy melts to melt the chocolate into the bowl. Use enough so that it is deep enough to cover the cake pops. If you plan on using candy color, add some now. A little goes a long way! Step 2: Leave cake balls in the fridge, taking one out at a time. Take a lollipop stick and dip it into the chocolate about one inch and stick this end of the stick into the middle of the cake ball. Step 3: Dip the cake ball all the way into the candy, making sure it covers the whole thing. Lightly tap the stick to get excess candy to drip off. Also, clean the stick of any excess chocolate. Step 4: Place cake pops into the block to dry. Use the skewer to pre-drill a hole so that it is easier to stick the cake pop in. Step 5: Allow them to dry, then wrap with cellophane and tie off with a ribbon that matches the theme of the baby shower.